Carrie Jones likes Skinny Cow fudgsicles and potatoes. She does not know how to spell fudgsicles. This has not prevented her from writing books. She lives with her cute family in Maine, but she grew up in Bedford, NH where she once had a séance with cool uber-comedian Sarah Silverman. The Meyers brothers are from Bedford, too, so youd think it would make Carrie funnier, coming from Bedford N.H. Obviously, something didnt work. Carrie has a large, skinny white dog and a fat cat. Both like fudgicles. Only the cat likes potatoes. This may be a reason for the kittys weight problem (Shh dont tell). Carrie has always liked cowboy hats but has never owned one. This is a very wrong thing. She graduated from Vermont Colleges MFA program for writing. 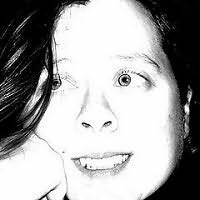 She has edited newspapers and poetry journals and has recently won awards from the Maine Press Association and also been awarded the Martin Dibner Fellowship as well as a Maine Literary Award. "Intense and lyrical, Heather Duffy Stone's story about transformations wrenches the heart and then puts it back together again, stronger and better for having read this book." "An exciting tale of romance, terror, and dark gothic twists." "Kind of creepy and quirky, It's impossible not to fall in love with Deception." "Bross takes myth and makes it into brilliance, crafting a story the reader will never want to end."